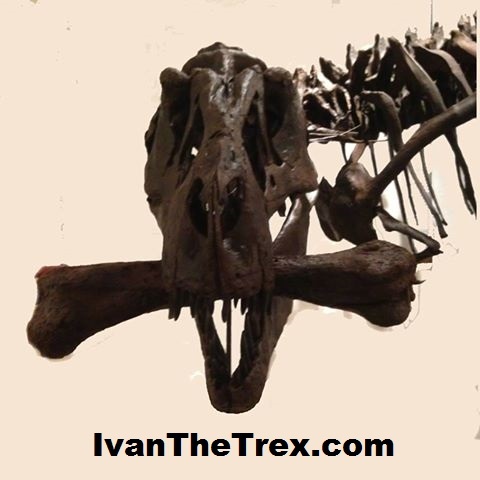 The following information is copied from "Museum of World Treasures"
If you have heard anything about our Museum, you've probably heard about Ivan, the T.Rex! 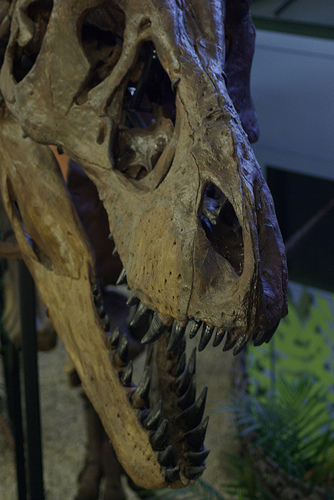 The Museum of World Treasures is thrilled to showcase one of the most complete T.Rex dino's on display in the world. Have you been in to see him? The Museum of World Treasures formally dedicated Ivan, one of the most complete T. rex discoveries ever made, on Saturday, May 12, 2007. Ivan was uncovered in northwestern South Dakota near the confluence of the Little Missouri River and Box Elder Creek and is said have been only five feet underground. 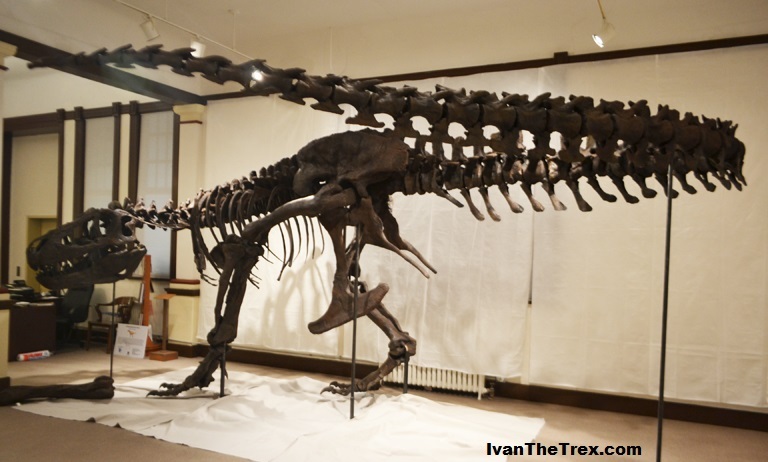 The dinosaur is scientifically significant for both the quality of the bone composition, as well as the unusually high percentage of skeletal structure uncovered. 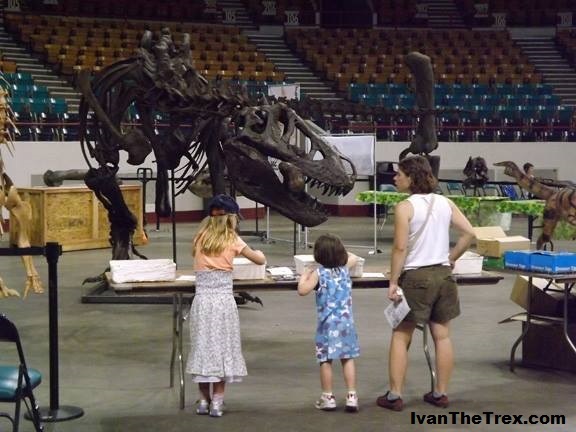 The most significant of T.Rex discoveries include Sue (roughly 80% complete and housed at the Field Museum in Chicago), Stan (roughly 70% complete and housed at the Black Hills Institute) and now Ivan, who is approximately 60-70% complete and housed at the Museum of World Treasures! Ivan is approximately 40 feet from nose to tip of tail and 12 feet tall at the hip. 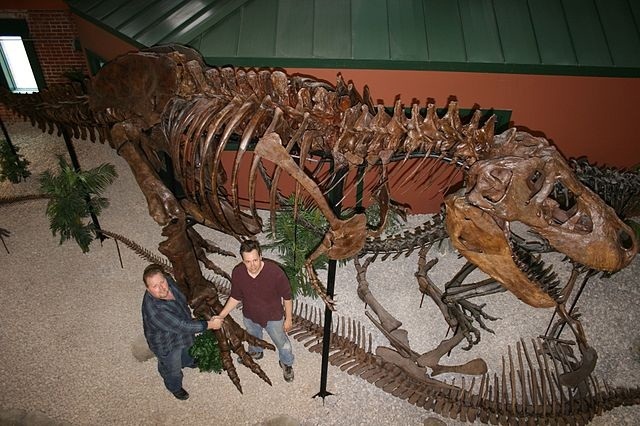 Ivan was discovered by Hell Creek Relics, a privately owned, professional paleontology company operated by partners Alan G. Komrosky and Gary Olsen of North Dakota. [The original fossil skeleton of] Ivan is now on permanent loan and display, with the museum holding an option to purchase him in the event such an opportunity becomes available. Please note we are not associated with Museum of World Treasures.